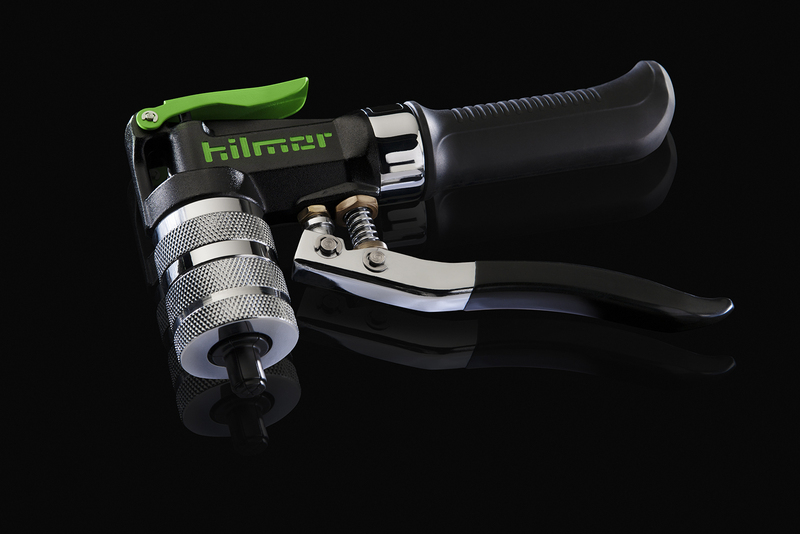 When you need a precise, quality flare or swage, the hilmor Large Flare/Swage delivers. Its compact design allows it to fit where others can’t. And, with a long handle for additional leverage, it can help give you a leg up on any job. Steel wing nuts make it easy to hold pipe secure. Tube Sizes (O.D.) 3⁄4", 5⁄8", 7⁄8", 11⁄8"
Packaged Dimensions Length: 12.1", Width: 2.2", Height: 8.89"
Product Dimensions Length: 7.1", Width: 6.0", Height: 6.0", Weight: 6.4 lbs. Yellow Jacket 60455 Large swage/flare kit complete 3/4” to 1-1/8” O.D. Yellow Jacket 60290 Large flaring tool for 3/4”, 7/8”, 1”, 1-1/8” O.D.